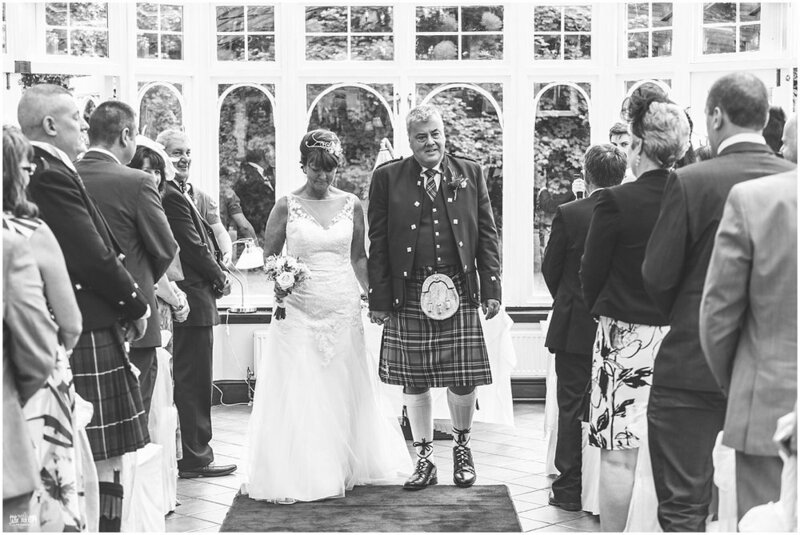 Last month I had the honour of capturing my Dad and Stepmum marrying back in Scotland. At the beautiful Kincaid House Hotel set in the shadow of the Campsie Hills they finally made it official after twenty two years. It was a beautiful ceremony followed by a great evening of dancing and catching up with relatives. The bride was definitely the belle of the ball in her stunning dress and endless smiles and laughter. The groom didn’t scrub up too bad either in his family tartan kilt with a blue jacket to offset it.